Are Acts of God Covered? - Scarsdale Premier Insurance Agency | Advocate Brokerage Corp.
Once again Roz Binday has written an informative blog to share her thoughts on an often asked insurance question….Are acts of God covered by my policy? People often believe that acts of God are not covered by insurance. While floods and earthquakes are standard coverage exclusions on a home insurance policy, for an additional premium, these coverages are available. The situation is different with auto insurance. Indeed, these perils are covered on most auto policies under the comprehensive section. So if you are driving near a body of water and a rogue wave happens to sweep over your car, coverage would likely attach (assuming you carry comprehensive). Of course, this is subject to the policy deductible. 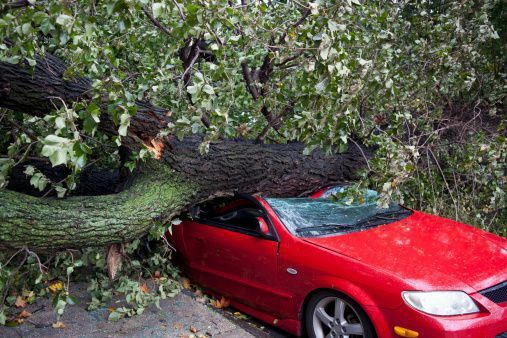 Lightning and windstorm damage is an act of God that is a covered peril on most home and auto insurance policies; again, subject to the deductible. Windstorms include tornados, hurricanes, typhoons, Nor’easter’s and wind damage by any other nasty name. Hail damage too, is another act of God that is a usual covered peril on home and auto policies, but the policies can vary depending on the carrier and where you live. Hail usually comes along with gusts of wind. In its wake, pelting hail can damage roofs, break windshields, and shatter windows and glass doors. The internet tells us that Texas was the state with the most wind/hail losses, followed by Illinois, New York, Ohio, Missouri, Tennessee, Indiana, New Jersey, Kentucky and Colorado. Who knew we would be included? Your coverage is only as good as your insurance policy. If you have any questions or concerns regarding your policy, please feel free to give us a call. We would be happy to review your current coverage and help provide peace of mind that you are indeed protected from the acts of God.